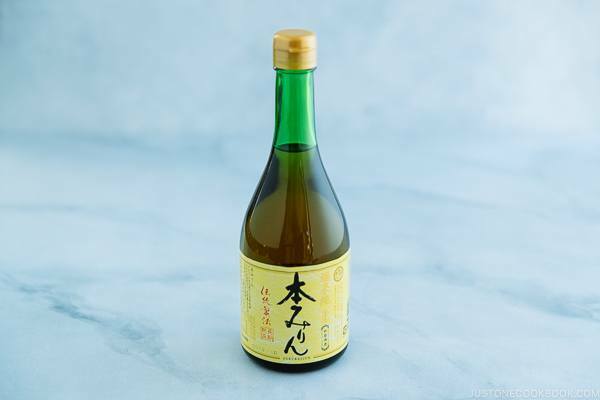 One of the most important condiments in Japanese cooking, Mirin (sweet cooking rice wine) is a sweet and syrupy liquid that is used as a seasoning and glazing agent. 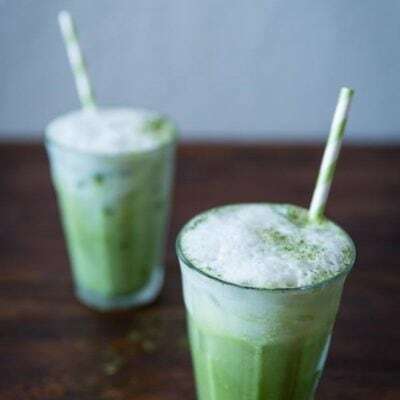 It is a type of rice wine similar to sake, but with a lower alcohol content (14% instead of 20%). 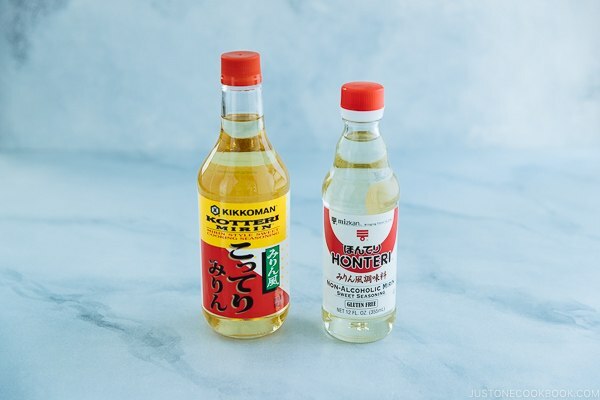 In general, there are 4 types of mirin: hon mirin (“real” mirin, 本みりん), mirin (みりん), mirin-like condiment (みりん風調味料), and mirin-type condiment (みりんタイプ調味料). Hon mirin (本みりん) contains 14% alcohol and 0% salt. Steamed glutinous rice, rice koji mold, and shochu (distilled alcoholic beverage) are mixed and fermented for about 40 to 60 days. 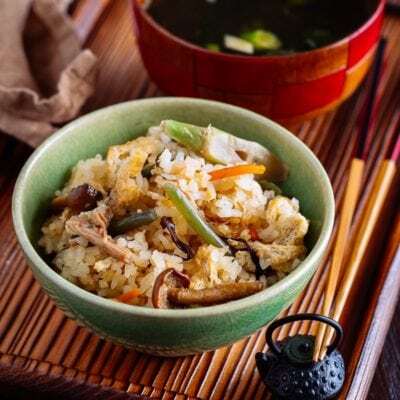 Enzymes in rice koji decompose starch and proteins of glutinous rice and various saccharides, amino acids, organic acids, and fragrance ingredients are produced to form Mirin. Hon mirin has more alcohol; therefore, you can store it in a cool place up to 3 months. If you store it in the refrigerator, sugar may crystalized. 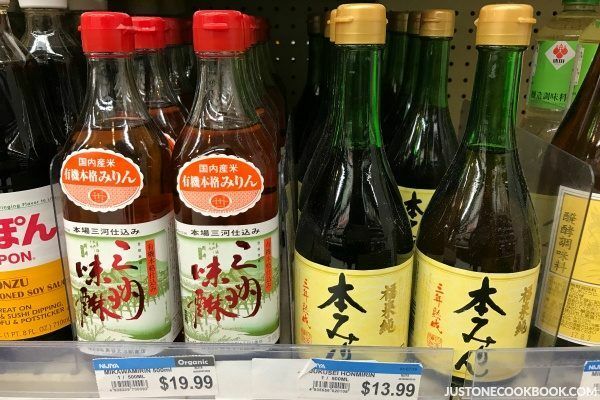 In Japanese grocery stores, you can find imported hon mirin, which are pretty expensive (above, you can see two brands of hon mirin that are about $20 and $14). The main difference between Mirin and Hon-Mirin is the usage of sake in Mirin instead of shochu. 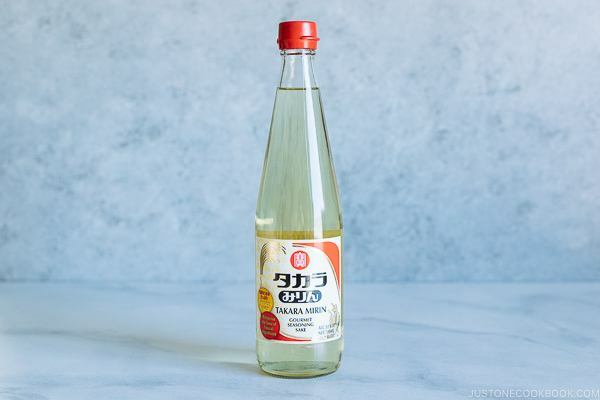 You can purchase Takara Mirin which includes sake (made with rice, water, koji mold, and yeast), glucose, and corn syrup (No High Fructose Corn Syrup is used). 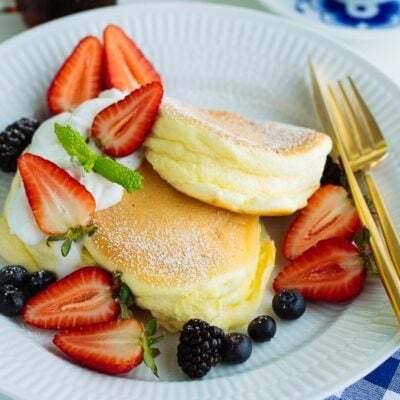 For those who are looking for mirin without high fructose corn syrup or corn syrup, we recommend Eden Foods Mirin which contains only water, rice, koji and sea salt in the ingredient lists. Mirin-type condiment (みりんタイプ調味料、みりんタイプ醸造調味料) contains 8-14% alcohol and 2 % salt. It’s made of starch syrup, water, alcohol, rice, and salt. 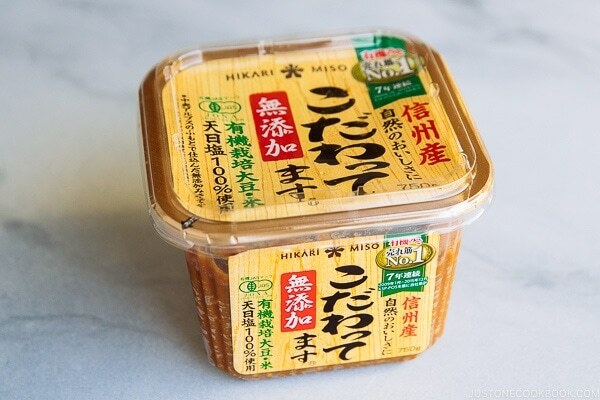 Mirin-like condiment (みりん風調味料) contains no alcohol or less than 1% alcohol and less than 1% salt. It is made of starch syrup, rice/cultured rice brewed seasoning, brewed vinegar, acidic components. Mirin-like condiment is cheaper because it avoids certain alcohol taxes. 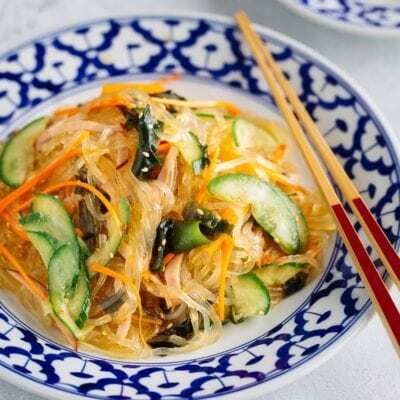 It claims to have the same taste as hon mirin and can enhance the flavors and texture. It needs to be refrigerated after opening and used within 3 months. Mirin tenderizes and adds a mild sweetness to dishes. 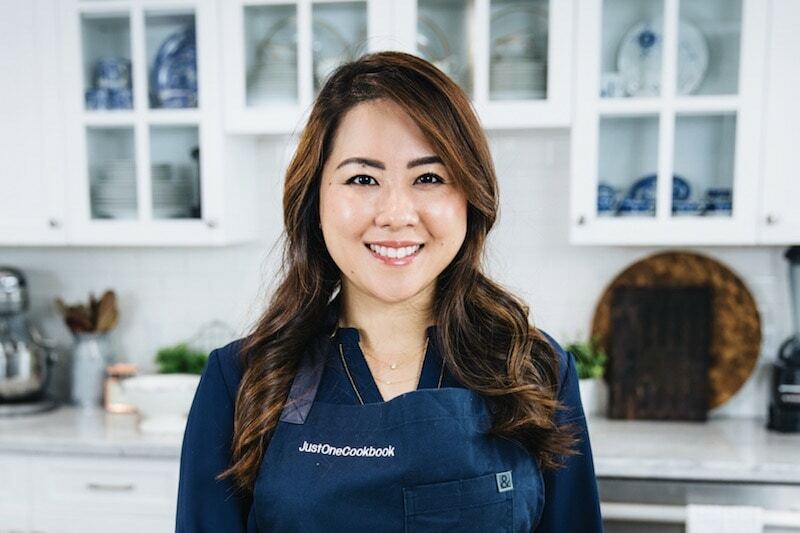 With a deeper body and umami, it also helps masking the smell of fish and seafood and helps the flavors to “sink in” to the dish better. 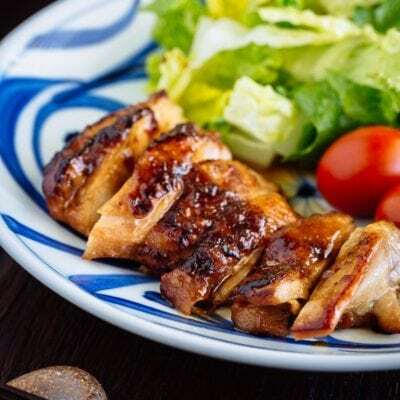 Because of the sugar and alcohol content, it also keeps the ingredients from disintegrating Lastly, mirin adds luster to ingredients, which is why it is a key ingredient in teriyaki sauce. 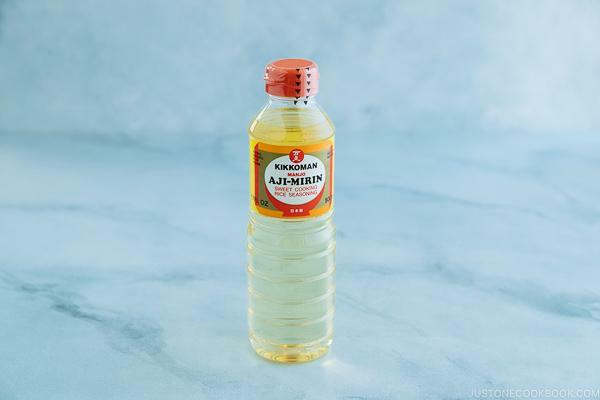 You can purchase mirin from Japanese grocery stores, Asian supermarkets, or Amazon. 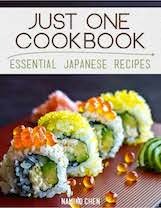 Although it won’t be exactly the same, you can substitute mirin with sake and sugar. The ratio of sake and sugar is 3 to 1. For example, mix 3/4 cup (or 1 Tbsp) good quality drinking sake with 1/4 cup (or 1 tsp) granulated sugar. 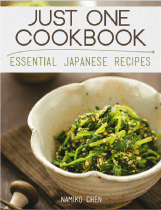 If you cannot use alcohol in your cooking, you can use water instead of sake. Storage: Hon mirin has more alcohol; therefore, you can store it in a cool place for up to 3 months. 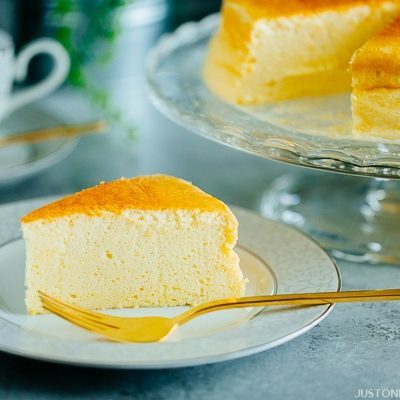 If you store it in the refrigerator, sugar may crystalized. 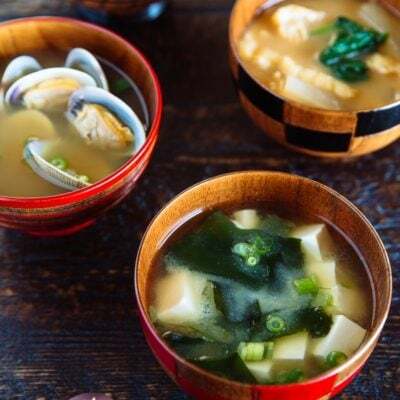 Mirin-fu chomiryo (mirin-like condiment) has much less alcohol; therefore, make sure to store in the refrigerator and used within 3 months. 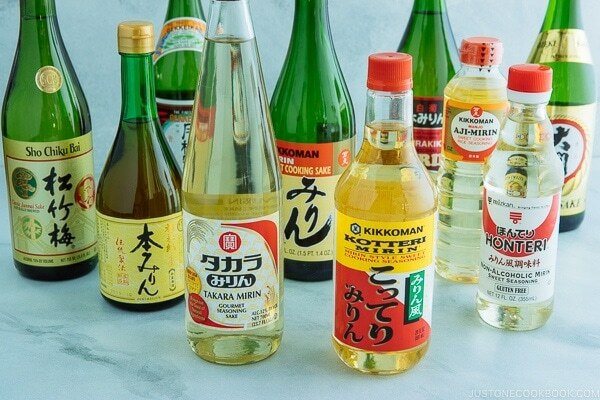 Sake & mirin are frequently used hand in hand in a recipe for Japanese cooking. Sake contains higher alcohol and lower sugar contents, while mirin has a higher sugar content and lower alcohol content. 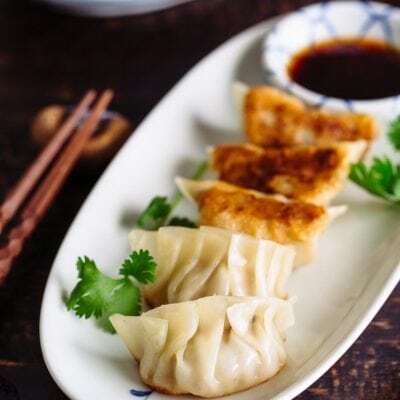 Mirin can be used untreated in a dish, whereas sake is often added earlier in the cooking process to allow some of the alcohol to evaporate. 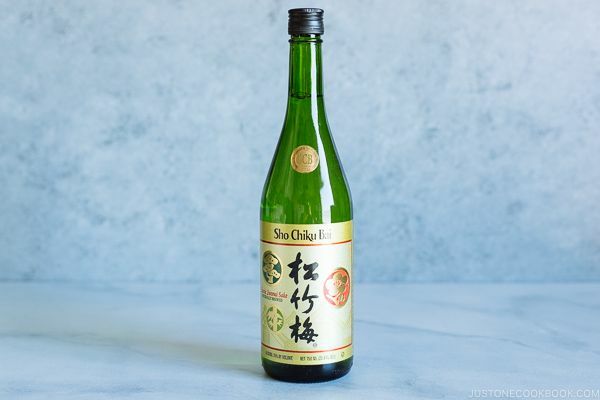 To learn more about the difference between sake and mirin, click here.